Ok here is the deal, I need a Smartphone where I can look at the net and see it as it really is. I have a Palm Treo 680, that I love because of the keyboard and the chat-style view for messaging, but looking at the net is a mess. I also love how email is displayed and I hate to give that up, but I work on the net and I have to see it!!! I don’t like Blackberrys (for many reasons). I am with AT&T Wireless, but my contract has ended so I may be influenced to leave. Convince me please! 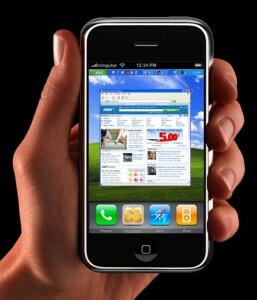 I have read everything about the the 3G iPhone, but there are many negative reviews. Same with the HTC Fuze. I have read about the Nokia’s and the G1. So many choices and I have no clue. I have read so much I know all the pros and cons, according to the net, but I need more info from actual users. I want the truth about things. I like a full keyboard for messaging and emails and I have read that it is hard to text with the iPhone. I need to be able to open PDFs and I have several email accounts. I need the phone to be easy to use – fast and simple. I like the idea of the HTC but have read it is hard to get to the phone. I need advice from all you smart people. I know many like what they have or hate what they have. Please let me know what you think. Which do I choose or do I wait for something new coming out? The gift card will go to whoever is the most convincing- this could be convincing me to buy a certain phone or not buy a certain phone. I may not take your advice, but who cares. I don’t care how long your comment is, just please comment and help me make a choice or rule a phone out. I will make a decision by next Friday night – 1-9-08 – and let the winner know Saturday morning. I know $50 isn’t much, but the economy is bad 🙂 If comments are too long and you want to email me I will add your text to this post [Be sure to include your name, email (not to be published) and link to your site]. I think a large groups of pros and cons of the various phones could be very beneficial for buyers. I NEED to see sites as they are, not some mangled view. I will mail the card to the winner on Saturday, January 10. Quite frankly I have to say that the iPhone is the way to go. I’ve had mine for about a week now and it’s amazing! I use it every day.. wether it’s for surfing the web or texting. Or just… you know … making calls. The texting is actually rather easy, especially if you trust it’s auto correction system… which is pretty accurate for 99 percent of the time. (The other 1 percent is just correcting the F-word to Duck… or other such naughty words). Also.. I’m a guy with big hands and sausage fingers. But I can still hit the correct keys most of the time. Sure I can’t text while looking away anymore but that was a bad habit that needed kicking anyway. The web features on it are pretty good. Multi tab browsing and fast speeds. You can either view pages horizontally or vertically. I often choose vertically because I get a better view of the page. You can double tap to zoom in and out. or just hold a finger to the screen and use another finger to zoom in to where you want. And the App’s are great. There’s a huge selection of -useful- free apps. Whether it’s Internet radio, games, or just random cowbell apps. You can find almost anything you want. The only real downside is that you can’t Receive picture texts or send picture texts. However there are ways around the latter. What you can do is find the e-mail extension for a certain service. So lets say you want to send a picture to someone who uses ATT… just go to E-Mail, type in their phone number followed by @mms.att.net. So it’d be To: 5091234567@mms.att.net. However if that isn’t an issue then no worries. The Battery life is pretty decent. I have yet to get to the yellow bar or even red “Charge me now!” Bar. Just kind of half battery life. Even after having it set for 3G and connected to a Wireless network for a few hours. All in all I feel that the iPhone is an easy and great phone for anyone. By the way… I’m in no way an Apple fan. Aside from the iPhone the only other Apple product I own is an 80 gig iPod Classic. I’ve never owned a Mac and never plan on it… But this phone… this phone is truly the greatest thing I’ve seen Apple do. It’s got all the common new features, like Bluetooth, as well as a full keyboard for texting and a fancy touch screen. It has a stylus, so you can use that or your finger and it seriously limits the touch screen frustration level. The slide out keyboard means no need for difficult touch screen texting. Also, it’s a Windows Mobile Pro phone, so navigating it should be pretty intuitive for Windows users. Good luck. Remember with AT&T that you can try out a phone for 30 days and bring it back to exchange if you don’t like it – no fees and no questions asked. Make sure to visit a large store if you can, to try before you buy. Also, check prices online and in store. Usually you can get significant savings buying online, but only do so if you’re comfortable setting up your own phone. Michael, great information. I appreciate it. You have me thinking! Diana, I am reading, thanks so much! Oh, I highly recommend Verizon’s new blackberry storm. All the features the iphone has, but with the blackberry features too!! You’re very welcome. If you have any questions feel free to e-Mail me. Which, I believe as per requirement… you have. iphone will be your best bet. The functionality of iphone and all of its APPS, including the wordpress app to blog on the go, should be your selling point. The iphone also has the visual voicemail, which is amazing, shows you who left a message and how long it is. having used smart phones before and now being unhappy with a voyager.. my next phone is the iphone, I think you should get one too melissa. It sounds like you have done a lot of research — both from personal experience and also gathering data from other sources. So you are entering into this purchase rather well-prepared. I wish I had been this practical when I purchased my latest cellphone. From reading your comments, I’m going to encourage you to look further at the HTC Fuze because you really like that keyboard. I know that my biggest challenge with my cellphone is that the buttons are really wonky and I’m constantly dialing the wrong person or place. Worst of all — I can’t do things quickly. The goal of any of these tools is to access information — and with a great keyboard you can get at it that much quicker. Thanks for all your research. I like Verizon’s new blackberry storm phone. I highly recommend the iPhone, even with the few limitations it does have. I’ve used my in lieu of carrying my laptop with me traveling this past week and using a few applications and the web surfing, I was able to keep constant tabs on my flights, including gate information, delays, etc. in addition to checking online banking, various email accounts, theater information, etc. The 3G speeds are noticeable faster than EDGE (which is all we have here), but it also drains the battery life significantly faster. During my trip, I had to charge my phone once or twice as I was using it on a constant basis. Lastly, not only was I stranded in an airport for 12 hours during this past trip, but my iPhone allowed me to cure boredom by having previously downloaded all of my favorite video podcasts, music, etc. which was more than enough to entertain me for the entire time. Bejeweled 2 – Need I say more? WhitePages – Reverse lookup, business search, etc. My niece just got a Storm, and she loves it! I was ‘playing’ with it over x-mas and now I want one…..
Wow, Michael. Great info! Thanks. I am dreaming of having a real phone. I am still using the .99 phone that came with my plan 3 years ago. I would love this phone, I have been using an old LG and it’s about had it. The iPhone is a great phone. There are so many apps and features available. It is a highly reliable phone and it is a great experience. I saw a couple of videos on the Verizon Blackberry Storm, which is suppossed to be the ‘iPhone killer” and a lot of its features were really impressive but I would still go with the iPhone! With a Smartphone, IQ will magically “bleed” into your subconcious as you talk on it, as it IS a “Smart”phone and whatnot. Then you’ll eventually be the most brilliant who’s who in town! and you’ll come up with a mathmatical equation to pinpoint lottery numbers. I have the IPhone and it has changed my life. No longer going online to check email, work schedules, or finding the nearest store to satisfy my needs! Plus, AT&T really kisses my %$@ when it comes to customer service. They have a special account with IPhone users and they do whatever it takes to keep you happy! IPHONE! Get one, you won’t be disappointed! I got a new iphone for Christmas and I really like my iphone – its text messaging is great, i like being able to check my email on it – I do like being able to see the internet if I want – its convenient. Hands down the Google Android G1 available via T-mobile. It has changed my life. First, all of the Apps are “open source” meaning that ANYONE can develop apps for the phone. iPhone only allows apple approved apps on their phone which means that not only are the apps you are offered limited but many of them you are required to pay for. On the google phone any developer can offer their app for free. The android phone is also on the 3G network so download and web browsing speeds are ultra fast but again the real beauty of this phone is in the apps. *side note, a developer has just created an app will scan your eye, and uses the iris scan to allow you to unlock secure files on your phone. There are simple practical apps like a flashlight app (that makes your screen super bright), a security app called noise alert that will dial any phone number you stored if the noise gets above a certain level. Orienteer is a compass app that is literally a compass on the screen. There are many lifestyle apps as well. I have downloaded a GPS beta, a nutritional info app called fatsecret that displays calories, carbs, fat etc in any food you enter, an exercise program that uses your gps to calculate the time, distance, and approximate calories burned while walking or running. The cab4me app uses your GPS location and pulls up the phone numbers of the nearest cab companies to your location, in case you need a lift. There is also a simple GPS tracker app for the phone but the beauty is if the phone is set up for remote activation via text message so if your phone gets stolen you can text it and figure out (roughly) where it is. I also have a recorder/microphone app, so the phone can be placed on the table during meetings and saves the recording as an MP3 file, a star map that shows exactly what stars and constellations you are staring at as you point the phone at that section of the sky, and finally to save a little money, I use the voxophone app that routes my international calls to a local number and pay about a penny a minute for calls overseas. Of course there are the basic weather, myspace, facebook, email, AIM, video player, games, whitepages, dictionary, wiki, etc etc apps but this phone can do so much more and is only limited by the imaginations of the developers. Oh and the best part? Every single app I told you about was free. Plain and simple the Google Android phone is a lifestyle phone, this phone does everything I want except clean my home. Until apple either catches up or allows open source apps the iphone will always be an inferior phone even if the phone itself is marginally better. Wow Patricia! What a review. Google should be paying you! Michael Capp, great information! You all have some great information. Truthfully, we had the iPhones through AT&T and got rid of them last week when our contract ended. We have switched to the T-Mobile G1. This phone is amazing. The Web access is just like you are using your computer. You can do things like go to a website, if you find you have a question or want to order something from that website, you simply click on the phone number and it dials it. It has touch screen like the iphone, a slide out keyboard, google applications, most are free and really cool, for instance I got a price scanner app, I was at Walmart and picked up and item with no price, it told me the price and how much it was at surrounding stores. It also has a 3.2 camera and comes in Black, White or Bronze. You can also have your favorite 5 numbers which are totally free to call at all times. Doesn’t matter if they are home or cell numbers, if they are on your list it never costs you to talk to them. I Love this phone, the iPhone pales in comparison. Thanks Nadine. Everyone raves about the iPhone. I posted this contest because I assumed someone would come and discuss having one. I appreciate your last sentence. Although the iPhone is cool, I am not sure it is what I need to keep a business running. Thank you. Thanks Melissa, I really love this phone. It is this little tiny machine that I carry around with me everywhere, and it’s hands down the most practical thing I own because it does everything. Oh and another little fun trick, that I also love, once you add someone to your contacts list, you can check a box that says “send this number straight to voicemail”. Great for completely bypassing those unwanted calls. The other thing I forgot to mention is I believe HTC actually manufactures the G1 which is why it has the same keyboard as the Fuse. Seriously, I will never have another phone without Android ever again. Nice to see Nadine agrees after having both. Please feel free to email me if you have any more questions about the phone. My boyfriend loved it so much he bought one too and the guys at my office who have the iphone were all a bit jealous. It will do everything you need for business and more, plus whatever else you need/want based on your choice of apps to make your life easier. Good luck, hope you pick something you love! If it were to choose it would be the HTC Fuze. I like the way it looks and the options it has. Verizon’s new Blackberry Storm is nice, I hear. I would think the Iphone would be your best bet. did you know you can get refurbished ones too? I am not sure if you can get a deal with ATT or by switching but I feel refurbished is almost better, it is like getting a while new phone that hasn’t just been built by a computer! it has been gone over by human hands! did you know it also has sensors? when you put it up to your ear it turns off the display to save power and to make sure you don’t accidentally press buttons. I have been researching and researching and I am not normally a fancy phone fan but this is what my next purchase will be. Wow, where to start. This might be long, but grad a pen, because I am going to bring up some additional topics to discuss. I think the real question should be? How does the customer want to control their experience? If you look at how the wireless landscape is in Europe, the customer is in control, and has the opportunity to make a much better choice for their cell phone experience. Everything that everyone has review has been what we call in the industry as a “Locked Handset” which means that the phone is locked to the Network that provides the handset. Example: G1 is TMobile branded, iPhone is AT&T or Rogers in Canada, and HTC Fuze is AT&T locked. HTC has other phone models that are locked to the other carriers as well. Samsung launches their handsets this week at CES show in Vegas. Here are some other questions to ask yourself? Does your service provider give you the level of customer service that you need? Do you like the reception on your phone (indoors or at work)? Do you want touch screen access or a QWERTY Keyboard? Do you use Microsoft Exchange for business or a POP email address? Speed of the data network? There are many other factors when choosing you cell phone, but just remember that the phone doesn’t always predicate the happiness of the user. Look closely into what you want versus what you need, then make an educated decision as to which brand to buy. These are all good reviews, and a few other things to think about. Hope that helped, or confused you further. I used to be with AT&T and LG was my phone through work, no major complaints with the phone or with AT&T for that matter, but when I left that job and needed to get my own phone and service, I chose a Palm Treo with Verizon Wireless, and I’ve been with them for five years! Couldn’t be happer with my treo, I can touchscreen but I use the stylus so I don’t mark up my screen, I like my wallpaper! I highly recommend the Treo! You have received some good feedback from other users here so I won’t be wordy with my own comment… I’ll just say good luck in whatever you choose to do. Don’t know about the fuze, but my HTC/AT&T Tilt is awesome. It has a touch screen and a pull-out keyboard. Runds everyhting you can imagine and the best feature is….hook it to your laptop and use it as a wireless modem that gets great surfing speed on the 3G network. My wonderful but disabled wife of more than 38 years needed a new cell phone – and we shopped around and could not find a plan or the features she wanted. My son added her on to his plan and the phone is so complicated that she has trouble with it. It takes pictures and everything. Just alittle to many features for her. Thank you for this great contest and prize! Let me see if I can help you out a bit. To answer some of your questions. As for talking and being online at the same time – as long as you are in a 3G coverage area, this is possible. If you are either on the speakerphone or using a headset, you can continue to use Internet services (browsing, mail, etc.) simultaneously. If you are in a non-3G area however, this is not possible. As for a new phone coming out – the nature of the wireless industry is such that a new device is always around the corner. That said, the HTC FUZE represents very cutting edge technology (with 3G, Wi-Fi, expandable memory, etc. )., so it is likely that products that you will see on the market in the near future will have incremental, rather than revolutionary changes. I may be biased since I personally use (and love) a FUZE, but I think it is a great choice for someone who wants the big touch screen, full Internet capability and a full QWERTY keyboard. Iphone. I have an Ipod Touch 2g and am incredibly happy with what the Iphone software is all about. G Phone. Its great and who doesnt love google. Go with 3G. My half-brother has one and he’s 14 1/2. Stick with the I phone. You will want the ability to update and upgrade over the years. Your other phone choices offer only limited ability to do this. I personally don’t use the internet and text functions, but my brother recommends Verizon’s blackberry storm. I’ve had an iphone for about a year now and LOVE it!! I would highly reccomend. Personally, T-Mobile has been a GREAT company since I joined them 4 years ago. Customer service is outstanding and they help you with everything you need. Since you need texting, T-Mobile has great phone plans that can include unlimited texting for a low price. The family plan has worked wonders considering the amount of texts we all send and the minutes we share. Also you can you can purchase mobile-to-mobile so that every time you call you a family member it doesn’t deduct minutes. As for choosing a phone, I was suggest the Samsung Behold for T-Mobile. It’s almost exactly like an iPhone to be honest, but for a much lower price and much better camera at 5mp (especially if you get a new plan). If you purchase the phone they throw in a 1GB memory card to store music, pics, etc on your phone. I NEED A PHONE THAT I CAN USE COMFORTABLY WITH ONE HAND , AS I HAVE AN AMPUTATED LEFT ARM. THEY ALL LOOK GOOD ?????? When I walk through the mall and all those kiosk phone-sellers approach me, I wave them off with my iPhone. It doesn’t take a word. This look of “Oh, never mind” engulfs the salesperson’s entire body like air leaking out of an inflatable pool toy. Seriously, AT&T’s iPhone is a FANTASTIC communication device. My husband bought mine as a birthday gift last spring. I was spending a lot of time in the hospital with my Mom and it was a lifeline to family with photos (quality is OUTSTANDING), email (RAPID), internet (I had to do SOMETHING while watching Mom sleep), and the magic of touchscreen and touchscreen keyboard/pad. My husband isn’t the techie that I am, so he has some sort of Motorola or something phone, but the good thing is, his service only costs $9.99 a month when bundled with mine. Besides, who doesn’t love SLEEK! There are no annoying moving parts or tiny keys to have to dust. Good luck. Hope you find the device of your dreams! Right now you could get a good deal on just about anything because stores are practically giving things away, so now’s the time to buy one, if you are going to get one. I would suggest getting one that has the ability to do all the things you may want it to do, even if you dont want to pay for all the features now. You may want email and gps down the road, so pick one that can do both of those. I would love to win this phone as I often have to multi-task and this would be very helpful. Is this getting boring? iPhone. I don’t care if the repeat of the recommendation disqualifies me. I *loathe* Apple. But this is a gorgeous beast. If you can afford it, go for it. My son works with AT&T does that dq me? Even if it does, he does not recommend the iphone simply because it is not insurable. He recommended the Blackberry Bold but of course you are prejudice against Blackberry. He also advises against the Fuze just too hard to get around the applications. iPhone uses fast 3G and Wi-Fi wireless connections to deliver rich HTML email, Maps with GPS, and Safari-the most advanced web browser on a portable device. 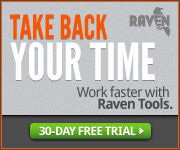 iPhone automatically syncs bookmarks from your PC or Mac and has Google and Yahoo! search built in. Since iPhone multitasks, you can even make a phone call while emailing a photo or surfing the web over a Wi-Fi or 3G connection. iPhone is a widescreen iPod with touch controls that shows off your content-including music, videos, podcasts and audiobooks-on a beautiful 3.5-inch display. Sync content from the iTunes library on your Mac or PC. Scroll through songs and playlists with the touch of a finger. Even browse your album artwork using Cover Flow. iPhone is a revolutionary mobile phone that allows you to make a call by simply tapping a name or number in your address book, favorites list, or call log. It automatically syncs all your contacts from a PC, Mac, or Internet service. And Visual Voicemail lets you select and listen to messages in whatever order you want-just like email. The info, how to use, tips & trick & customer service is awesome. You can also ask your local at & t providors about Bundling your mobile phone, internet , & home phone. I’ve had the Tmobile Android G1 and I don’t know how I’ve lived without it. It truly I is a mini laptop. I do my banking can save all my passwords for every site I visit and have a ball. You can even zoom in & out of the screens. Some the post comments have helped me keep up the good work Good Luck G1 strong. The performance of the i-phone is outstanding. Go for it! HTC fuze, three of my friends have them and they are so much fun and so easy to text on! i would recommend the the t mobile sidekick LX. i am a kid myself and i would love to have this phone its like every kids dream phone that they want. you can add awsome apps!! Iphone. It is stable the apps are awesome and easy to use. I recommend the Palm Treo 755p. It is very user friendly! I have tried the Palm w/windows, and getting to the different screens took many more clicks than with the Palm and that drove me nuts. I’m also with Sprint and I have a sweet plan. Good luck! Leave a Reply to Jacob LaFountaine Click here to cancel reply. Why doesn’t your website work on my iPad & iPhone? Offering SEO, Internet Marketing and Consulting Services throughout Sarasota, Bradenton, Venice, Tampa and Naples, Florida. Copyright © 2019 SEO Aware.